After some longer silence on this blog, I am happy to announce that the introductory lectures from which excerpts have appeared here before are finally online. 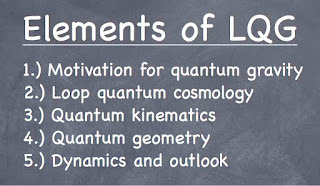 The lectures start with a general introduction to quantum gravity, including a theoretical motivation, possible experimental tests, and the previously posted list on approaches to the subject. There is also an improved (as compared to here) estimate on the local Lorentz invariance violation based on anomaly freedom of effective constraints. I am planning to write about it in more detail in the future. Next, an introduction to loop quantum cosmology is given, a draft of which has appeared here before. The new version features some improvements in the presentation and some simplifications in the derivation. 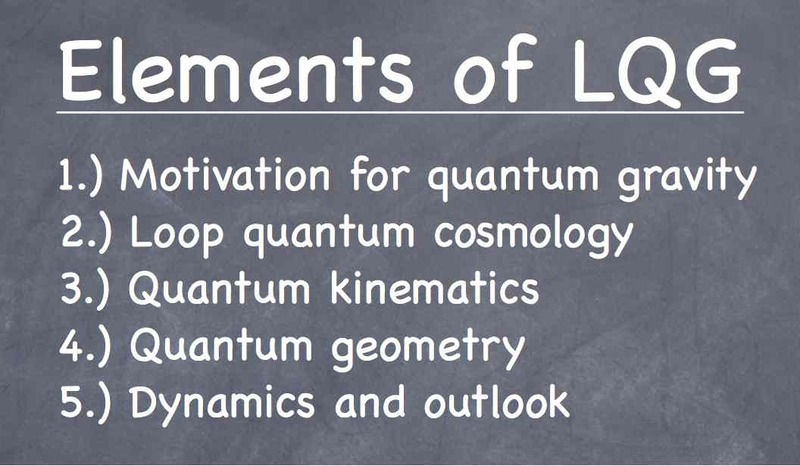 The remaining part of the lectures introduces full loop quantum gravity with minimal technical details. The derivation of geometric operators is sketched and different approaches to the dynamics are discussed. Promising lines of current research are mentioned and evaluated. Exercises are included at the end of each section. The present lecture notes are somewhat complementary to several other sets of lecture notes existing in the literature in that they refrain from technical details and give a broad overview of the subject, including motivations and current trends. If someone spots mistakes or has suggestions for a better presentation, I would be happy to hear about it.